Humane Society approached agency Rokkan in order to come up with a campaign that would raise awareness about the awful reality that puppy mills are (in case you don’t know, they’re basically farms where female dogs are forced to reproduce unnaturally often, and the puppies that are born are caged and inhumanely raised to be sold online). After the www.apuppyisnotaproduct.com website was created, Rokkan thought it would have been fun to create a fake service that delivers puppies via drones, on the same day they were ordered online. It was clearly meant to be a challenging nod to other online services that sell puppies just as they were products. The video delivered traffic to the website, where it would be revealed that the service was fake and the user could browse a wealth of information on how to stop supporting the puppy mills industry and how to go about adopting a puppy or buying one from the right sources- the right way. 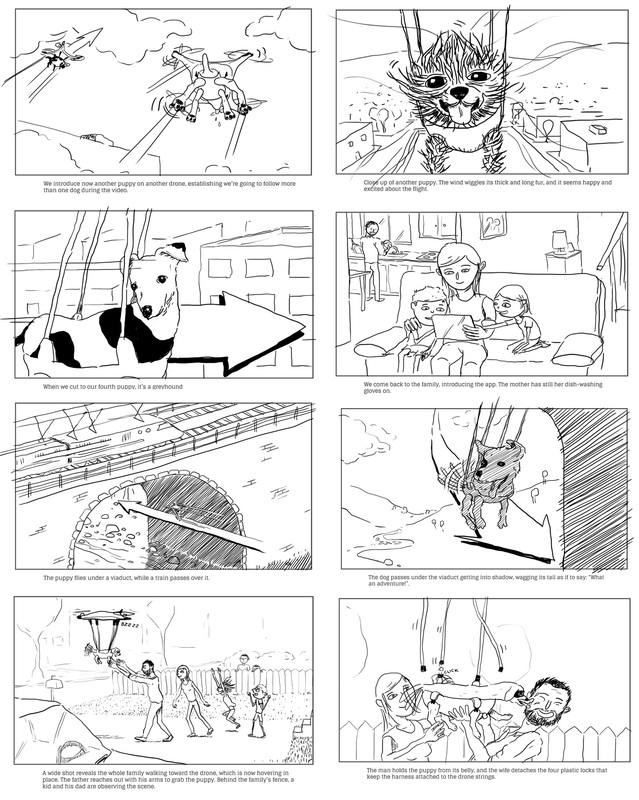 Some panels from my storyboard. 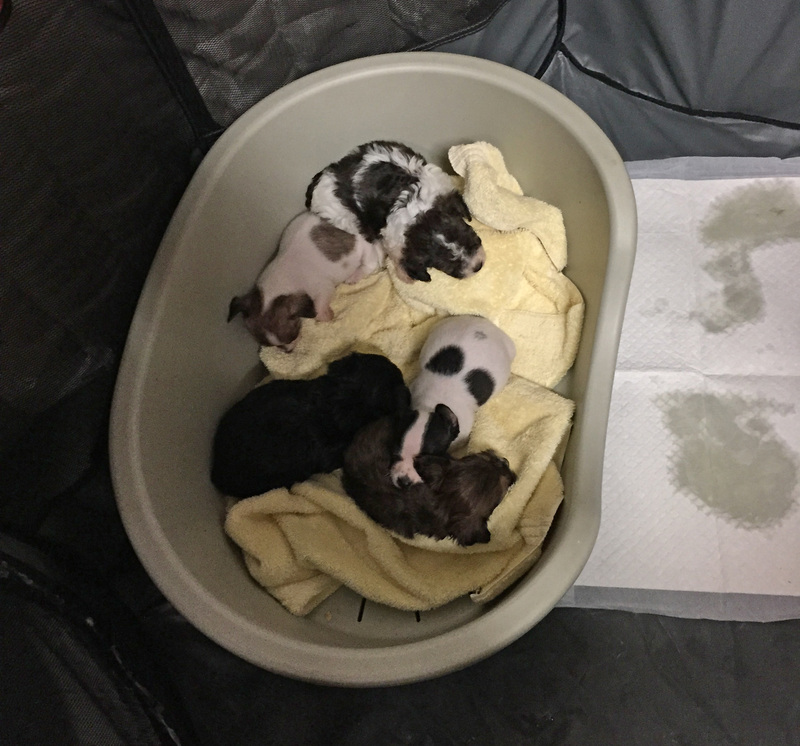 Some of the dogs are not matching because we had to use the ones that were available from the local shelters around LA, so we chose them at the very last minute. 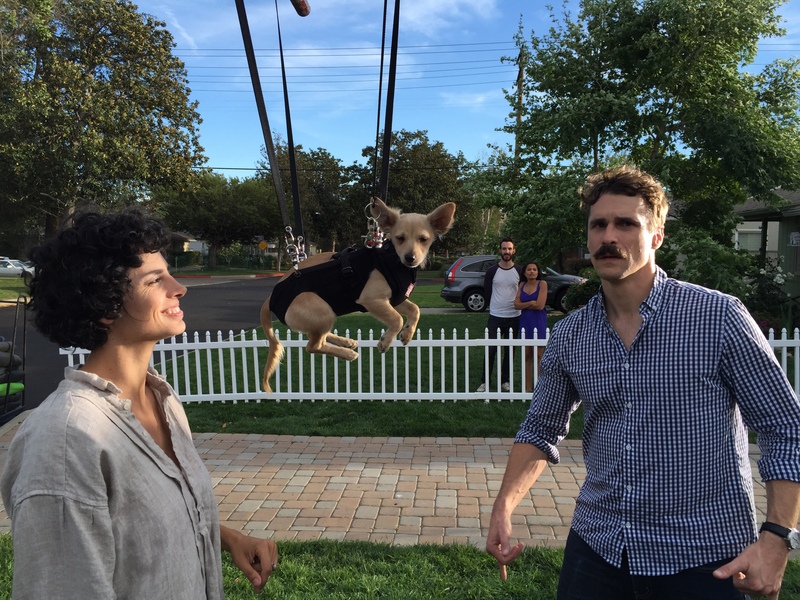 The first day we shot the family in the house and the hero dog delivery. Here’s Penny being very securely strapped to the metal poles rigs and being very well behaved. 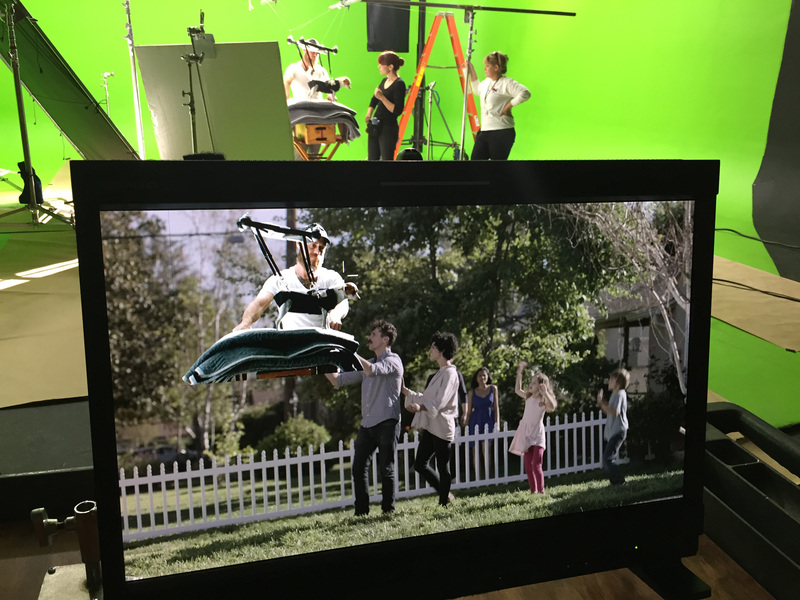 The second day we shot the green screen scenes. This were only part of the puppies selection i was presented with when I got on set (we kept them in cages otherwise the set would have been a MESS with like 30 puppies running around). 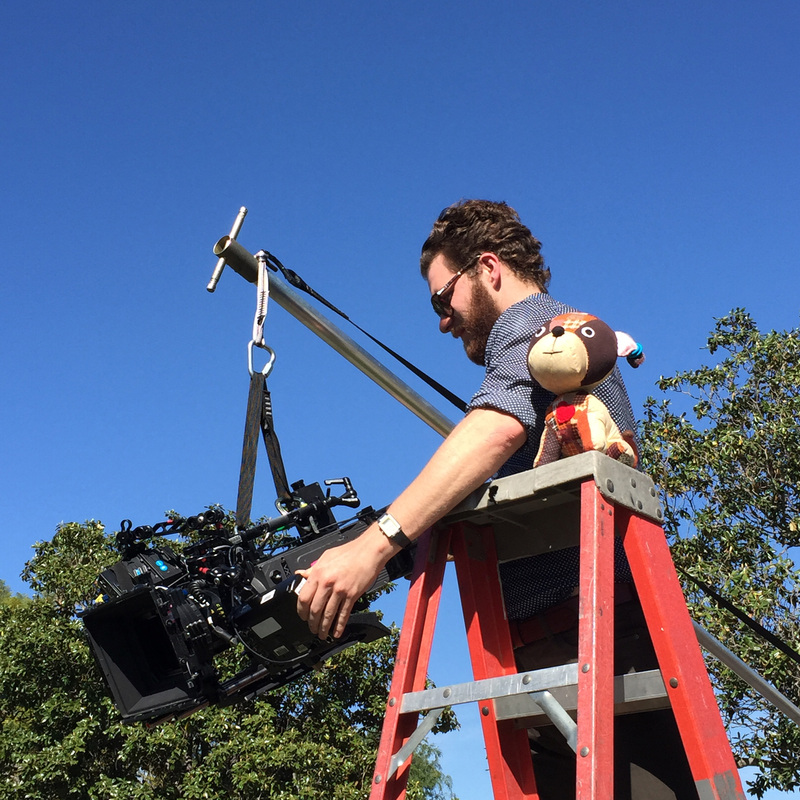 Here’s our DP Alex Bergman and his 1st AC. They never separate from each other. “ok where are the actors?” – “oh they’re resting in their box, they’ll be out in a minute”. Here’s the hero puppy being placed on her mark, with the footage we shot the day before in the background as reference. I know, this image looks weird. While we prepped the shots, our animal wrangler Tanya kept the puppies entertained, either with stuffed crocodiles or vast quantities of treats.